A beautiful and classic feathered dip-pen calligraphy set. The pen, depending slightly on the nib employed, measures about 13" from tip to tip (nib to the end of the feather). 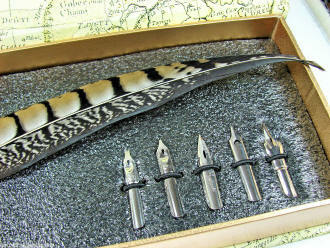 Six interchangeable steel calligraphy points are included, which are friction-fit into the holder. I find the easiest way to remove one is with a piece of rubber -- or a rubber glove -- for a non-slip grip on the sides, using a slight and gentle rocking motion from side-to-side. One needn't push in the replacement very far for the holder to supply a firm hold. 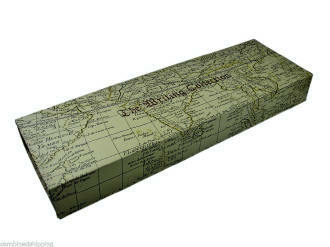 The stunning gift box measures 13-1/2" itself and uses magnets to insure closure of the lid. You can spend countless hours just visually exploring the maps that cover all four sides of the exterior, as well as the inside of the lid. 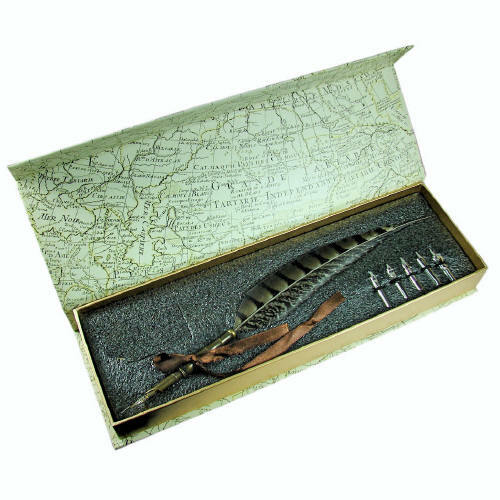 The top of the box says 'The Writing Collection' in glossy purple (not well captured in the photo above), and the set makes for an outstanding gift for a pen collector -- or for you to pull out to sign that important document or letter -- where a conventional pen just won't do! The Viewpoint Calligraphy pen features a wide profile and new rubberized grip with traction dimples for better control and writing comfort. The new snap-fit cap replaces the threaded-screw cap, allowing removal with one hand, keeping the other hand free for project control. The translucent barrels (available in red, green or blue), allow for monitoring of the ink supply. 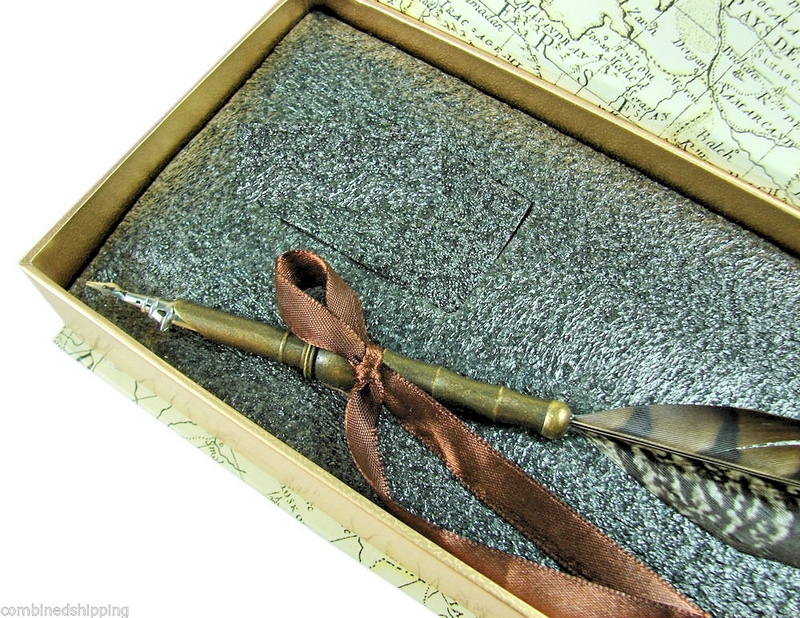 Available with a fine, medium or broad stainless steel nib. 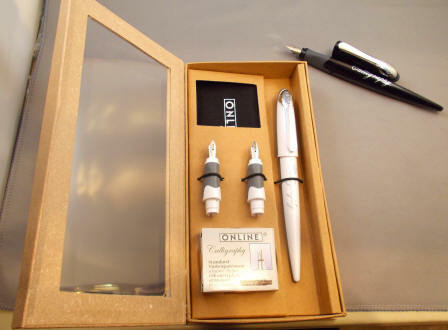 Comes with two jet black ink cartridges.